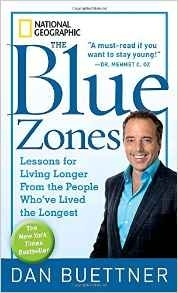 A great overview of how you can live forever, drawing from what we can learn from the regions of the world where people are more likely to live to 100+ (the Blue Zones). Only 25% of our longevity is determined by genes, the rest is lifestyle choices. Aging for the most part only has an accelerator pedal. Most of living longer is about minimizing the things that speed up your aging. We don’t have a decelerator yet, so you have to minimize the aging acceleration. Having something that gives your life meaning is one of the most important things you can do for your longevity. Eat until you are 80% full. Many Americans only have 2 close friends they can rely on, which can contribute to an increasing amount of stress and loneliness. Close ties are important for longevity. Turmeric is excellent for preventing cancer. Nuts are great for reducing heart disease. Staying hydrated substantially reduces your risk of heart disease. Napping is also great for reducing heart disease.